Few things are as exhilarating as feeling the rush of the wind while riding your motorcycle. Unfortunately, not all drivers on the road know how to navigate freeways and roads while sharing lanes with riders like you. Moreover, when a collision occurs, you are often the injured party. That’s why you deserve the best legal representation available. Trust us to give you the help you need. Have you been struck by an auto or truck while riding a motorcycle? 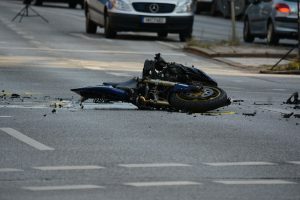 Motorcycle accidents can be, and often are very serious. Our team of highly experienced attorneys will help you navigate the legal system and make the best decisions for you and your family. We will fight on your behalf to get you the compensation that you deserve. We work hard to make your recovery as easy as possible. Put us to work for you today. If you are the victim of a motorcycle accident, you deserve compensation for several factors. These include medical bills, lost wages, pain and suffering, property damage to your bike, permanent disability and more. Do not trust insurance companies. Your recovery process and future are worth getting our professional advice. Call us today for expert advice and excellent care.